Join a community not afraid to challenge the status quo. Question with confidence any paradigm promoted as "scientific" that depends upon withholding conflicting evidence from the public in order to appear unchallenged. where I was capable of thinking for myself." If you are absolutely convinced that people first arrived in the Americas a mere 15-30 thousand years ago, this is because you have been spoon-fed by an institution that will not allow you to see conflicting data. When scientific institutions withhold empirical data in order to promote a single belief system they can manipulate a trusting public into believing whatever paradigm they wish to impose upon them. Those who trust the institutions but do not investigate the evidence themselves are easily prodded along. On this website you can view actual archaeological data straight from a tephrochronologist (volcanic ash expert, Ph.D). Re-claim your ability to think for yourself. Go beyond what you read on blogs or watch on standard science programs and be prepared to question what you have long been taught regarding the peopling of the Americas. (This website is under construction. However, much of the data on the archaeological sites can be viewed temporarily on the Valsequillo and Hueyatlaco forums of the website.Click on the link or the picture for Virginia Steen-McIntyre's Pleistocene Coalition page and quick information on Valsequillo and Hueyatlaco.) Steen-McIntyre is a founding member of the Pleistocene Coalition and editor and advisor for Pleistocene Coalition News. Click for Virginia Steen-McIntyre's Pleistocene Coalition page. 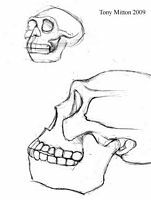 The website of James B. Harrod, Ph.D. Do you have a picture of early peoples such as Homo erectus or Neanderthals as just barely intelligent enough to walk around or throw a few spears? Is your picture one in which early peoples spend their entire lives in little more than a desperate struggle for survival without stories or philosophies? On this website you can learn through images of actual artifacts how the archaeological evidence for early art, myth and religion is both immense and vast. If you are prepared to think in 3D and enter into the spiritual and philosophical minds of early people, then it is time to look beyond the mundane interpretations of artifacts so long promoted by mainstream science and realize with confidence what you probably already intuitively knew - that human beings have always thought and felt deeply about their world. Harrod is a founding member of the Pleistocene Coalition. Scientists absorbed in the long-unquestioned paradigm that Homo erectus never made it to the New World may tell you to steer clear of "fringe" ideas. They often do whatever it takes to make certain that you, as a consumer of science, are left to know of only one perspective in regards how American archaeological sites are dated and when early peoples first appeared in the Americas. Often, they have provided dates for artifacts and even human remains specially-tailored to fit the preconceived notion that only modern Homo sapiens made it to the New World. See where this is heading? Rest assured, these scientists are now running scared in the face of hard-fast data. Here you can read the actual reports from one of the world's leading diatomists, Ph.D (reports these scientists would rather you didn't have access to) demonstrating beyond any reasonable doubt that archaic people were in the Americas 80-400 thousand years ago. VanLandingham is a founding member of the Pleistoecne Coalition. Click for Sam VanLandingham's Pleistocene Coalition page. 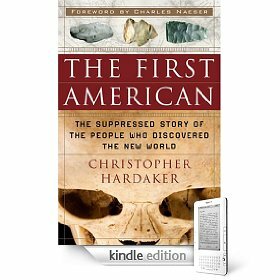 This website is based on the comprehensive volume by archaeologist, Christopher Hardaker, detailing the entire story of how a whole generation of science readers have been deliberately steered away from data that might confuse them regarding the aggressively-promoted paradigm of no-early-peoples in the Americas. Are you, as an objective thinker, concerned by those attempting to do your thinking for you? You should be. Hardaker's page also features updates on an American archaeological site deemed invalid by promoters of the above-mentioned paradigm though one taken seriously by famed anthropologist Louis Leakey. All in all, it is the data that matter. Rather than allowing yourself to be prodded along, take a look at the data and think for yourself. 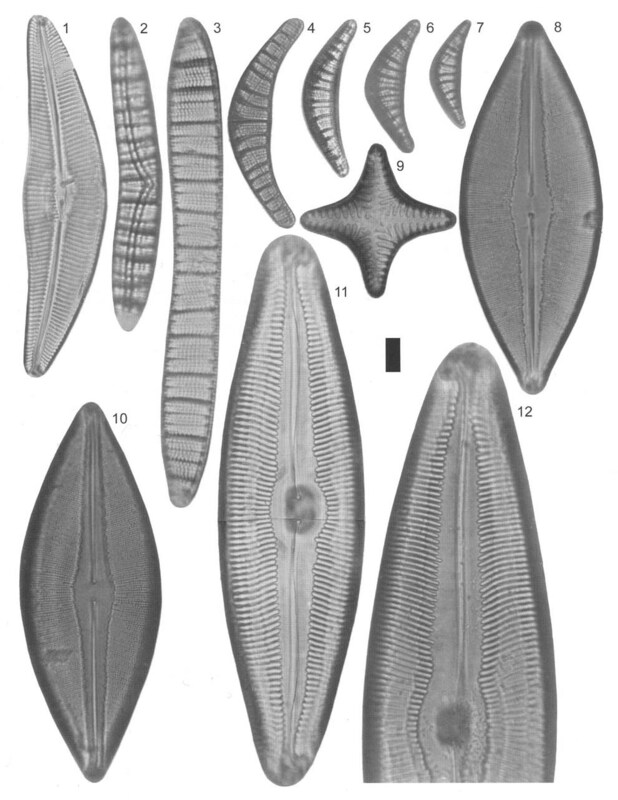 Keep in mind that if one piece of data (e.g., VanLandingham diatoms) establishes the reality of even a single early site, then the entire New World frontier will change in an instant. Hardaker is a founding member of the Pleistoecne Coalition. The website of Matt Gatton. "Harsh climates in the Paleolithic era forced humans and their predecessors to adopt heat-retaining dwelling strategies, including the use of hide tents in cave mouths, under rock overhangs, and in the open. Small random holes in these hide tents would have coincidentally and occasionally formed camera obscuras, projecting moving images inside the dwelling spaces. These ghostly images carried with them spiritual, philosophical, and aesthetic implications." - Gatton, M., L. Carreon, M. Cawein, W. Brock, V. Scott. 2010. The Camera Obscura and the Origin of Art: The Case for Image Projection in the Paleolithic. In Fidalgo C., and L. Oosterbeek (vol. eds. ), Proceedings of the XV UISPP World Congress (Lisbon, 4-9 September 2006) 35, BAR S2108, Oxford. International civil engineer and author of Throwing behaviour and the mass distribution of geological hand samples, hand grenades and Olduvian manuports. Click on the above image to go directly to Alan's paper on Throwing Behaviour. This website specializes in unexpected links between widely-separated cultures and civilizations. It offers a large database of evidence for early contact between cultures of the Old World and the New World long before the voyages of Columbus and others in the European "Age of Exploration." Its aim extends into prehistory. Archaeological evidence for earlier contact than promoted by the mainstream science and historical communities includes appearance of new food crops, animals, calendars, religious practices, medical procedures, genetics, etc. The Archives' main focus is on early interaction between cultures located on opposite sides of the Atlantic or Pacific Oceans; i.e. between the Eastern Hemisphere and the Americas. The website's moderators are Carl L. Johannessen, Ph.D, Professor Emeritus at the University of Oregon, Dept. of Geography; and John L. Sorenson, Ph.D, Professor Emeritus at Brigham Young University, Dept. of Anthropology. They are co-authors of the ground-breaking book, World trade and biological exchanges before 1492 (2009). This comprehensive and rigorous volume was rejected for publication by mainstream presses and university presses alike. The blocking of evidence that does not adhere to mainstream views is a common problem for researchers who are challenging scientific dogma and is one of the primary reasons that the Pleistocene Coalition was formed. 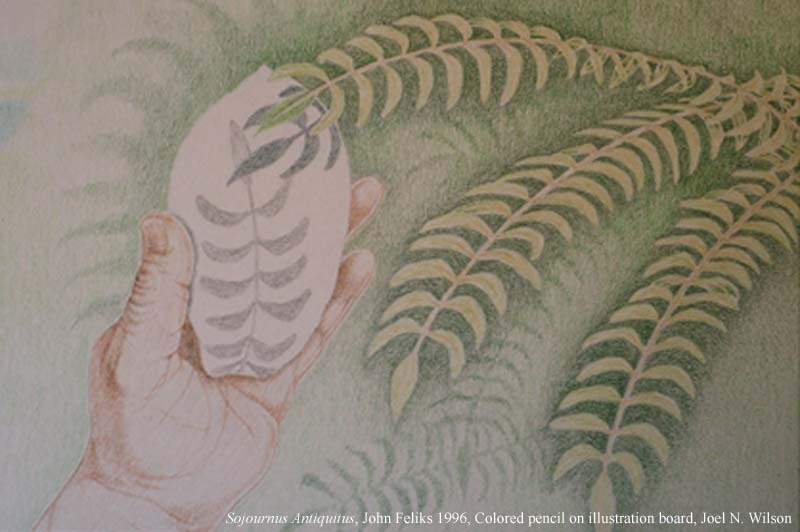 In the 1960's, Dr. Johanessen began research into the domestication of plants and animals in Central America followed by investigations in the Himalayan region of Asia which were funded by grants from the National Science Foundation. Noticing the similarity of crops such as corn, beans, and squash which had not been observed before, Johannessen began to postulate that contact between cultures on opposite sides of the globe began long before the eras commonly taught. It was at this point that the grant money came to a halt. 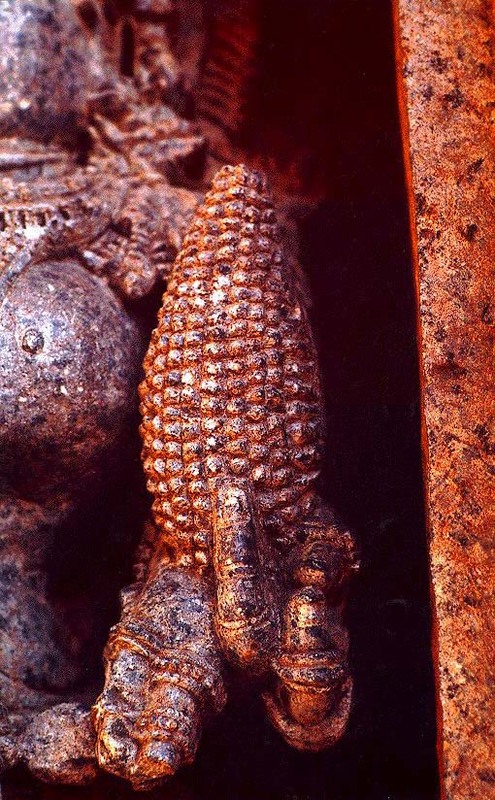 Johannessen suggests this happened because of mainstream allegiance to the idea of no early contact between the hemispheres and that sculptures depicting corn in East Indian temples, for example, that Johannessen provided as evidence could not possibly depict corn (See images at right and develop your own opinion). Despite these setbacks, like others in the Coalition, Johannessen and Sorenson (author of Pre-Columbian contact with the Americas across the oceans) continue to move forward with their research developing a compelling and expanding case for early contacts extending farther and farther back in time. 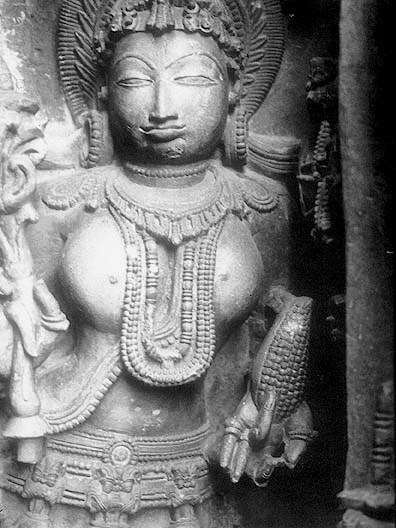 Above: Pre-Columbian temple sculpture in India depicting a woman holding an ear of corn as a likely fertility symbol. "Maize breeders in India, China, United States, and Great Britain, who have seen extensive collections of the illustrations, concur...only sculptors with abundant ears of maize as models could have created these illustrations of maize" (Click to enlarge). Below: Similar sculpture at a different temple. Photos by Carl L. Johannessen. In the past several years not only have researchers battling suppression questioned the objectivity behind mainstream science and anthropology but so has an increasingly Internet-savvy general public. Online researchers are less inclined to simply trust science once they realize that a single ideology rather than scientific objectivity has been driving interpretations of evidence in areas as important as human origins or human prehistory. Prior to the Internet, the peer review system in anthropology so effectively blocked conflicting data from publication that the general public had no way of knowing that conflicting data even existed; it believed that mainstream science was giving them a true and balanced interpretation of all known evidence. However, the Internet has changed everything; more people are privy to the fact that dissenting evidence—awareness of which is an absolutely crucial part of critical thinking and objectivity—is being withheld in anthropology while selected evidence is being presented as unchallenged and in the context of what is increasingly being recognized as a belief system or worldview. As a response, more and more people have joined together to form discussion groups to weigh out the evidence for themselves, express doubts, and otherwise openly challenge proclemations in anthropology presented as science that would never pass as science in any other field. This page will contain links to various such groups. It should make no difference to readers whether these groups are motivated by science alone or contain members whose concerns include religions or philosophies. What matters, and what skeptics should pay attention to, is that these groups have mounting empirical reasons to doubt the veracity and objectivity of what is presented to them as fact by mainstream science. 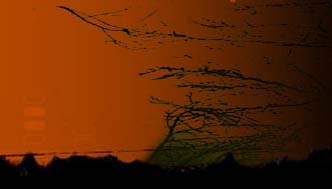 In one way or another, groups of this nature support a premise of the Pleistocene Coalition that mainstream scientific behaviors such as suppression of conflicting data need to be fought, that is, unless we are all content to become puppets of an international belief system presented as science yet which is somehow immune to the standard scientific requirement of testability in real time. IMPORTANT NOTE: Most of these groups feature regular contributions by mainstream scientists though these contributors, for obvious reasons, often write under the safety of anonimity via avatar or nicknames. 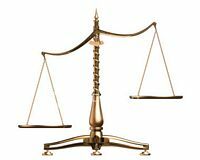 It is likely that many of these scholars will come out publicly when the paradigm changes and the evidence begins to be weighed in an equitable manner. "There has to be stated a continuous line showing how ethnocentristic our scientific view is focussed and thereby rejecting our ancestors like the Neandertals as being only another aberration and not at all a part of our ancestral line." -Jörn Greve, PD, MD, neurologist, author "Pre-Symbolic Interaction and the Palaeo-Ecology of Religion." Department of Pediatrics, Neurology (retired), Justus-Liebig-University in Giessen. Head of Child Neurology and Social Pediatrics, 1978-2001. 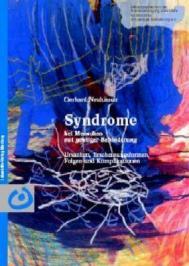 Professor Neuhauser is especially interested in developmental problems and neurobiology of behavior. Beth McCormack's background and interests are diverse. She did her dissertation (M.A. Univ. of Reading, UK) on altered states of consciousness and is interested in Lower Palaeolithic societies as well as exploring the union of art and science. McCormack has studied data from Lower Palaeolithic sites such as Bilzingsleben and applied ideas formulated by those studies to the prehistoric passage graves of Wales and Ireland. Also influencing McCormack's approach to archaeology is a strong background in music. She is currently studying Neanderthal musical culture as well as Palaeolithic campsites. McCormack is project manager and editor for a U. S. archaeological company. Paulette Steeves is a Graduate student and PhD candidate at Binghamton University, New York, under the Clifford D. Clark Fellowship program, 2008-2013, with technical training in molecular anthropology and archaeology. Steeves is First Nations Cree. She was born in the Yukon Territories, Canada, and grew up among the very traditional Salish people of British Columbia. Steeves' website, which is in process, will feature a comprehensive database of nearly 500 archaeological sites in the Americas dating as far back as several hundred thousand years. The database will incorporate not only well-known sites excavated from a European mindset but sites known foremost to indigenous American peoples. 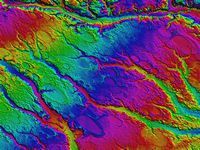 The website will also feature plotted maps, migration routes, and sea-level charts in time zones such as 20-40,000 years ago as well as evidence of 60,000 playa lakes in what is now desert area of the U. S. Western plains. State archaeologist, Hesse, Germany. Fiedler is the discoverer of the early Stone Age (Acheulian) figurine known as the "Venus of Tan-Tan" which is regarded as one of the earliest examples of sculpture in archaeology. It was found during excavations on the north bank of the River Draa in Morocco right next to Acheulian handaxes between undisturbed layers dated 300,000-500,000 years old. Fiedler is not averse to questioning the tenets of mainstream archaeology and has even gone so far as to question the emphasis and importance typically placed upon symbolism as a sign of advanced human behavior. 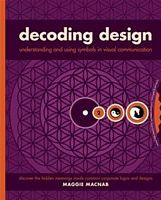 Maggie Macnab is an international award-winning graphic designer, author and educator with a career spanning several decades. Her work has received top honors throughout her career and has been recognized by leading design publications such as Communication Arts, Print, and Step-by-Step, as well as by organizations such as the Art Directors Club of New York and AIGA (American Institute of Graphics Arts). Macnab has taught design theory in the Digital Arts Program at the University of New Mexico since 1997 and for the Santa Fe University of Art and Design and is also past president of the Communication Artists of New Mexico. Apart from speaking at conferences, she leads workshops on creativity. 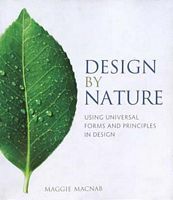 Macnab is the author of two leading design books, Decoding Design: Understanding and Using Symbols in Visual Communication (2008) - which has won awards and accolades - and, Design by Nature: Using Universal Forms and Principals in Design (2012), each of which have been translated into Chinese, Korean and Spanish. Macnab is also a lecturer in the popular TEDx program (ideas worth spreading). Macnab's research revolves around creative problem-solving and links between artistic expression and nature. She traces cultural iconography back to origins in the natural world. Macnab's perspective and scientific approach to the roots of design were influenced by a unique childhood background. Her mother was an architect with John Gaw Meem. Macnab's father, a poet and writing teacher at the Institute of American Indian Arts, encouraged her interest in nature and creativity early on by giving her a microscope and reading her science fiction shorts as bedtime stories. He also taught her how to observe and draw nature, taking Macnab camping by horseback in the high deserts of New Mexico including places such as Chaco Canyon, the Sangre de Cristo Mountains, Puye Cliffs, and the Santa Fe River on Upper Canyon Road, as well as Big Bend National Park in Texas. Macnab left school at sixteen and is for the most part self taught. Subtitle: Abrupt climate change induced by comets and asteroids during human history. 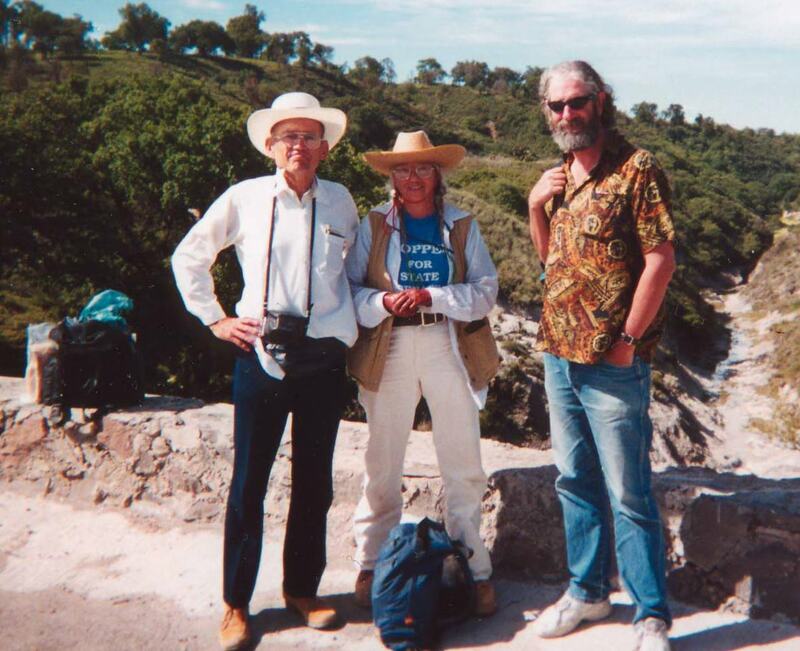 This is the website and blog of George Howard, BA, Political Science, co-author of the Firestone et al paper, Evidence for an extraterrestrial impact 12,900 years ago that contributed to the megafaunal extinctions and the Younger Dryas cooling, PNAS, 2007. The full paper is available free online. Howard is an expert on the phenomena known as Carolina Bays including field work and analysis and has also produced several posters on the topic. (Carolina Bays are large oval impressions ranging in size from one to several thousand acres which are found in the Atlantic seaboard states of Delaware, Maryland, New Jersey, North Carolina, South Carolina, Virginia, Georgia, and Florida. There are as many as 500,000 Carolina Bays which, for the most part, are all aligned in exactly the same direction.) Howard's blog investigates the Bays and other impact-related phenomena (both proven and unproven) with a focus on the proposed Younger Dryas Event. Howard's background also includes six years as a political staffer in the U.S. Senate as well as being actively involved in the restoration of natural habitats. 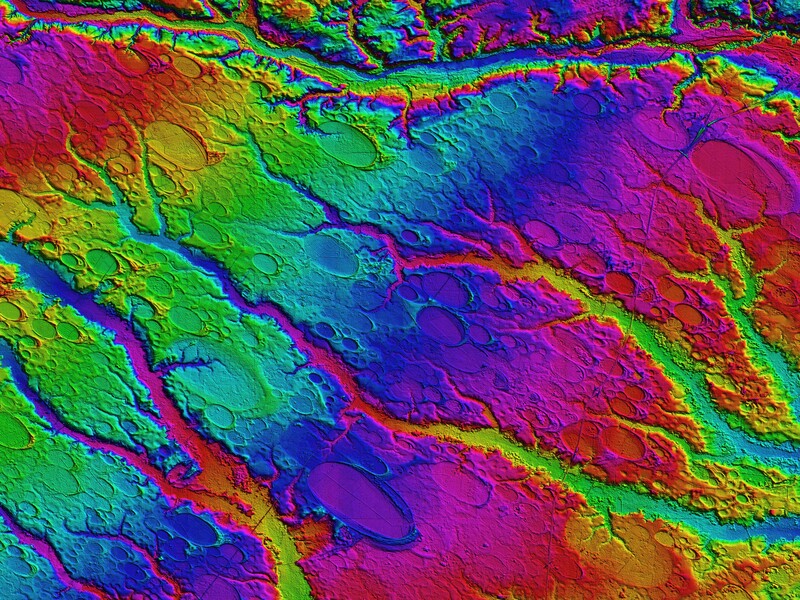 Digital elevation map centered on Rex, North Carolina (Robeson County). showing extent of the Carolina Bays in this single 600 sq. km region. Click on the zoomable image to see the remarkable phenomenon of Carolina bays. 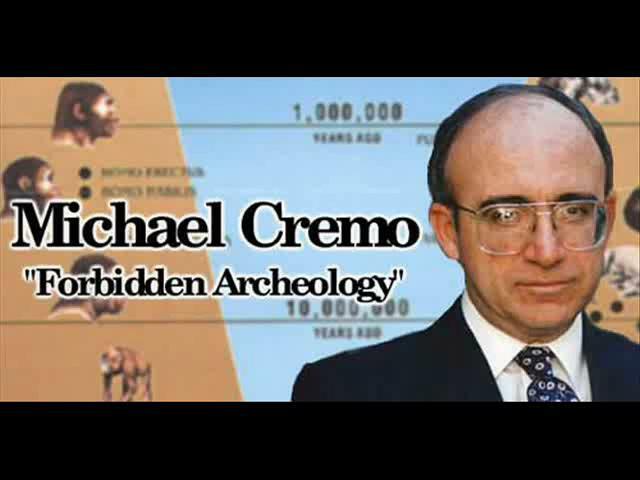 Michael A. Cremo is a long-time researcher on the topic of human origins and human antiquity. He is best known for his comprehensive volume, Forbidden Archeology (which he co-authored with the late Richard Thompson, Ph.D, Mathematics), and its follow-up, The Hidden History of the Human Race (The Condensed Edition of Forbidden Archeology), as well as for the controversial television special, The Mysterious Origins of Man, hosted by Charlton Heston. 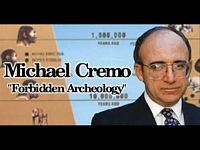 His most recent book is The Forbidden Archeologist: The Atlantis Rising Magazine Columns of Michael A. Cremo. Cremo has also been featured in the Ancient Aliens television series now in its tenth season. Chantal Jègues-Wolkiewiez, Ph.D, Anthropology, M.A. Psychology, Ethno-astronomy, is a long-time Paleolithic researcher who received her doctorate with special honors and congratulations of the Jury. She has specialized in the time-keeping and astronomical capabilities of the people of Lascaux Cave in France. Jègues-Wolkiewiez' first book, sur les chemins étoilés de Lascaux, presents in a fictional setting her theories about the astronomical knowledge and knowledge of space and time of the people of Lascaux Cave in France. See Blog la table d’Hermes for a review with excerpts in French. The book—in a way similar to Tom Baldwin’s, The Evening and the Morning—challenges the standard view of our ancestors making their abilities and sentiments, not unlike our own, the foundation rather than limitations as taught by mainstream science. This is the ongoing research project of Richard Dullum and Kevin Lynch focusing on early British archaeology. 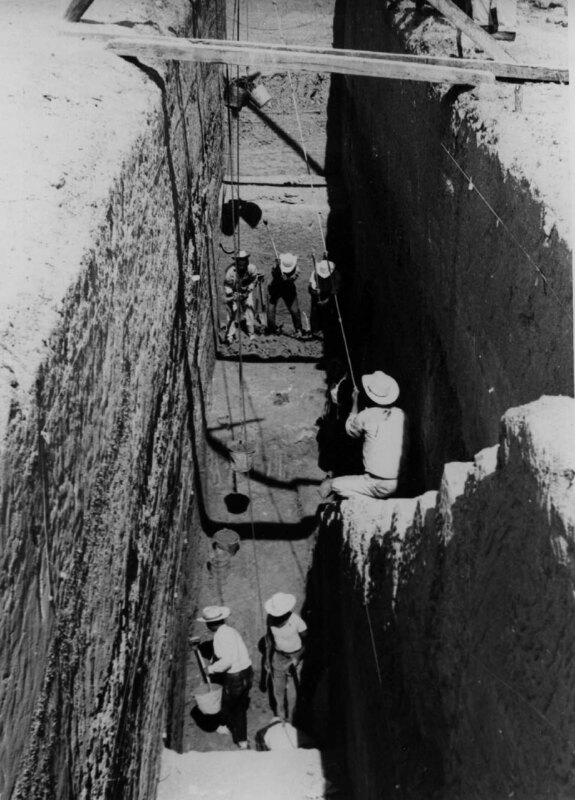 Their research includes locating rare historical documents and important artifacts presently known only from the literature, as well as the physical locations of important long-forgotten archaeological sites. Dullum is a surgical R.N. working in a large O.R. for the past 30 years as well as a long-time researcher in early human culture. He is also a Vietnam vet with a degree in biology. Lynch is a retired British businessman, archivist and member of the Prehistoric Society of Britain. He lives in Suffolk, UK, at Walton-on-the-Naze near the largest exposed cliffs of the Red Crag Formation. Lynch's specialty is British archaeology of the late 19th and early 20th centuries concentrating on the life and works of J. Reid Moir (pictured at right). Description: This is what we call the ‘Academic Version.’ It tells the story with more emphasis on the science and more detail given to the tests and scientific explanations and arguments. Length: 84 minutes plus a BONUS Disc (disc 2) which contains over 1 1/2 hours of all new material including interviews with Virginia Steen-McIntyre, Hal Malde, Mike Waters, Neil Steede and Marshall Payn, as well as photos, charts and illustrations. Description: This is what we call the ‘Broadcast Version.’ It simplifies the science and tells the story in a way best suited for the non-scientific viewer. It's a bit more sensational than the Academic Version. The DVDs can be ordered direct from BC Video (below). See Bill Cote's update in Issue #19 of Pleistocene Coalition News for details. Marshall Payn is a mechanical engineering graduate from M.I.T., and 30-year veteran of archaeological research. Among many other accomplishments and pursuits, Payn is the owner of 23 businesses; an author, songwriter, deep-sea fishing champion, and pilot as well as an award-winning documentary film producer with films on a variety of topics including Hueyatlaco, alternative medicine, and early Christianity. Bill Cote is a documentary filmmaker producing popular television specials such as the Emmy-winning film, The Mystery of the Sphinx (1993) and The Mysterious Origins of Man (1996), each hosted by Charlton Heston. The latter film was the first time the public at large had heard about Hueyatlaco and the story of Virginia Steen-McIntyre (although these had been introduced to the academic community in Michael Cremo’s and Richard Thompson’s controversial book, Forbidden Archeology, 1993). In addition to a 2007 update of The Mystery of the Sphinx, Cote's most recent films on the topic of early man are Valsequillo: An Archaeological Enigma and New Evidence of Early Man: SUPPRESSED. The website of Austin Whittall, engineer, Vicente López, Buenos Aires, Argentina, and author of Patagonian Monsters: A guide to Patagonia's mythical (and real) monsters and legendary beasts (in press). 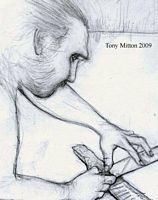 Whittall's blog contains a fascinating array of postings not only related to the field of cryptozoology but also about the past history of humankind and all manner of anomalies and enigmas. Author of Fossil Legends of the First Americans, The First Fossil Hunters, and many other publications including military history. Mayor's broad-scoped research has been featured on NPR, the BBC, and the History Channel as well as in The New York Times and National Geographic. In addition to researching classical Greek and Roman literature, Mayor also writes about other "'pre-scientific' myths" and parallels to modern scientific methods. The Lost Way of Stones is one of the website projects of Joel Weishaus. Weishaus is a writer, literary artist and sculptor, art and literary critic, and editor, as well as Visiting Faculty in Portland State University's Department of English; Portland, Oregon. Over the past thirty years, Weishaus has published books, poems, and essays, along with exhibiting his literary texts in museums. He also reviews poetry and poetics for several newspapers and journals. His online work is hosted by three universities. Among many articles and books, Weishaus wrote the Introduction and Notes for Thomas Merton's, Woods, Shore, Desert. Weishaus' most recent book, The Healing Spirit of Haiku, was co-authored with Jungian psychiatrist, David H. Rosen, McMillan Professor of Analytical Psychology and Professor of Psychiatry & Behavioral Science at Texas A&M University. "The Lost Way of Stones is built around indigenous rock art found in Southern California, including that of the Chumash Indians who lived mainly along the Santa Barbara Channel; and art made by Shoshonean peoples that is located on the Naval Air Weapons Station, near Death Valley, CA., where, contrasting human creativity with its destructive shadow, it is 'one of the most spectacular concentrations of rock art sites in North America.'" 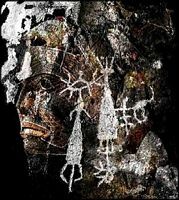 "My interest in Amerindian rock art began during a residency at the University of New Mexico's Center for Southwest Research. Cataloging slides of rock art of American Southwest also whet my interest in Aurignacian cave art." "Archaeologist Paul Bahn writes that 'it was the process of journeying to a location and leaving an image there which counted, rather than the image itself, its appearance, degree of completeness, or durability.' However, I would argue that journey and images are entangled in an uncanny web of continuity." "Christine Finn wrote that 'a poetic interpretation of archaeology—and by that I mean one that moves into the metaphysical to consider the essence of a "thing"—should be included in the armory of interpretative tools available to the archaeologist.'" "No matter where we are or when, 'a whole mythology is deposited in our language,' recalling our past as present in the depths of a collective imagination." Example of Weishaus' superimposition imagery from The Lost Way of Stones the text of which consists of many layers of quotations (or quotes within quotes) to create a similar 'palimpsest' effect only in a literary medium. Luann Udell is a nationally-exhibited artist and writer with a B.A. in art history and an M.A. in education. Her article in Pleistocene Coalition News #9 tells the intriguing story of how she went from the young dream of being an artist to art history and academia and then back to the dream of being an artist again only this time it struck the chord after being inspired by slide projections of Lascaux Cave. Tom Baldwin is an award-winning author, educator, and amateur archaeologist living in Utah. He has also worked as a successful newspaper columnist. 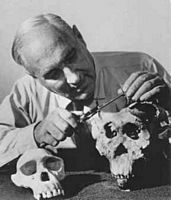 Baldwin has been actively involved with the Friends of Calico (maintaining the controversial Early Man Site in Barstow, California) since the early days when famed anthropologist Louis Leakey was the site's excavation Director. Calico is the only site in the Western Hemisphere which was excavated by Leakey. Baldwin's recent book, The Evening and the Morning, is an entertaining fictional story based on the true story of Calico Early Man Site. Along with Ice Age adventure stretching from Central Asia to North America, the book touches on many levels including Native American mysticism and a "critical look at the scientific establishment." The setting takes place in two time periods simultaneously, the modern day and a much earlier age 185,000 years ago. Along with Virginia Steen-McIntyre and David Campbell, Baldwin is one of the core editors of Pleistocene Coalition News. NOTE TO READERS: Depending upon your computer configuration the Leakey audio clips may not play back while the PCN issue is viewed online. In such a case, simply download the issue (PDF file) to your desktop, and hopefully the clips will then play back. Michael Winkler is a palaeolithic theorist and conceptual installation artist. In addition to being featured in art journals such as Rampike Magazine and in books such as Imagining Language (Rasula & McCaffery, MIT Press, 1998), Winkler's work is also part of the permanent collections in various art and literary institutions in the U.S. and abroad such as the Museum of Contemporary Art, Chicago; the Library of The Museum of Modern Art, New York; the Hans Sohm Archive at the Staatsgalerie, Stuttgart, Germany; the King Stephen Museum, Hungary; and the National Institute of Design, in India. Recent exhibitions include: Alignments, an installation at Galeria AT, Academy of Fine Art, Poznan, Poland; a large-scale wall installation in Poetic Positions at the Kassel Art Museum in Germany; and a 20-year survey at the Rosenwald Gallery, Van Pelt-Dietrich Center, University of Pennsylvania (image lower right). 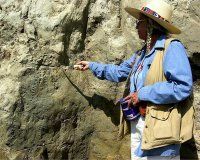 David Campbell is an author/historian and an investigator of geological or manmade altered stone anomalies or large natural structures which may have been used by early Americans. He also has a working knowledge of various issues regarding the peopling of the Americas. Along with Virginia Steen-McIntyre and Tom Baldwin, Campbell is one of the core editors of Pleistocene Coalition News. Dragos Gheorghiu is an experimental archaeologist, artist, pyro-technics expert, and professor of cultural anthropology and prehistoric art at National University of Arts, Bucharest, Romania. For many years, Gheorghiu has attempted to tackle the difficult subject of understanding the spirituality of prehistoric people through experimental archaeology. His work involves such universal and timeless experiences as human perceptions of landscape and the shared experience of fire, to name only two. Gheorghiu's Timemaps project on YouTube involves creating unadorned film representations of prehistoric or later early technologies by discovering little known living communities and giving them a presence on the Internet. The films are done in a style that gives a sense of real time in daily life without the embellishments or editing styles of other types of filmmaking. The project also involves creating virtual museums for these communities to help reconstruct their past and in the hopes that local traditions can be preserved. 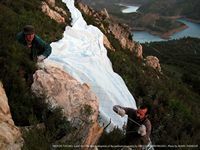 Photo at upper right is a still from, "Vertical Loom," one of the films conceived by Gheorghiu and filmed by Adrian Serbanescu. Performance and design of the loom and costume is by Alexandra Rusu. 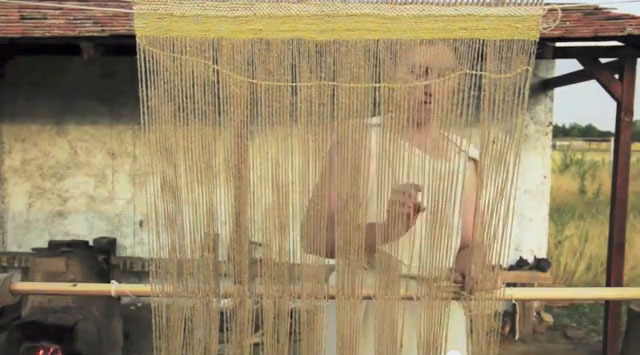 The loom propmaker is Ion Dimcea. Gheorghiu’s "Landart Transformations" is a project at Monte Velho, Portugal; photo by Radu Damian at lower right. It is a visual representation of a prehistoric hill fort or castro. The idea is in part to help observers from a distance get an actual sense of place in three dimensions. Gheorghiu is the author, editor, and co-editor of many articles and books on archaic technologies as well as the signs and symbols of material culture. He has done pioneering research in the field of cognitive archaeology, including prehistoric spirituality, not only by recreating artifacts and using ancient techniques, but also by re-enacting the use of space, water and fire as in ancient times. All of these experimental archaeology programs are attempts to reproduce perceptions common to all people and to help create a more direct connection to the past. 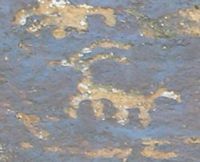 Ray Urbaniak is an engineer by education and profession; however, he is an artist and passionate amateur archeologist at heart with many years of systematic field research on Native American rock art, especially as related to archaeoastronomy, equinoxes and solstices in Utah. He has noted that standard archaeological studies commonly record details of material culture but overlook the sometimes incredible celestial archeological evidence. Urbaniak has also played a major role in documenting and raising concerns for the accelerating vandalism, destruction and theft of Native American rock art. He has brought state representatives to rock art sites with the hope of at least placing labels as protected nearby what he calls “sacred art” sites as a deterrent to vandalism. Urbaniak’s book, Anasazi of Southwest Utah: The Dance of Light and Shadow (2006), is a collection of color photographs of previously unrecorded Anasazi or Ancestral Pueblo solstice markers, equinox and cross-quarter markers in SW Utah including both petroglyph and horizon markers as well as the first general guidelines for identifying solstice and equinox markers. 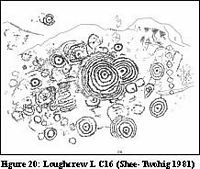 His rock art photographs include clear descriptionswith many photographs being time-sequenced as events occurred along with compass, angular orientations, and other information. The Pleistocene Coalition is a group of researchers challenging the tenets of mainstream scientific agendas which are promoted despite empirical evidence to the contrary. 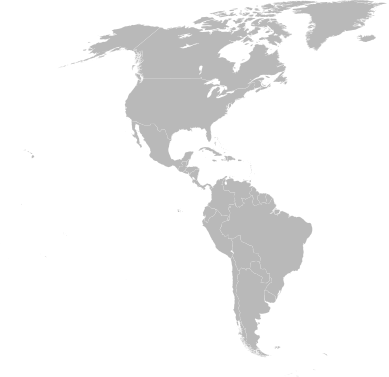 The vision of the Pleistocene Coalition is international in scope.